Honda Malaysia Sdn Bhd has launched the new Honda Stream, the second introduction of the car in our local market, but this time its offered by the principals themselves and comes with a 3 years manufacturer warranty, at a cheaper price than grey importers. While the previous Stream was a 2.0 litre unit, this latest generation model is the Stream 1.8, powered by the R18A SOHC i-VTEC engine found in the Honda Civic 1.8S. This engine puts out 140 PS at 6,300rpm and 174Nm of torque at 4,300rpm and is mated to a 5-speed automatic gearbox, with 4th and 5th being overdrive gears for better highway fuel economy. It uses an Electric Power Steering and a Drive By Wire throttle. The car rides on MacPherson struts with a new side cancellation spring at the front, while the rear uses a compact reactive-link double wishbone suspension. The compact rear suspension setup allows for a better third row passenger space. Ride height is now lower by 45mm, helping lower the center of gravity. The car rides on 15 inch wheels wrapped with 205/65R15 tyres. If you notice, the previous generation Honda Stream (and also the current Civic, Jazz and City) had an A-pillar sub-frame pillar – this extra pillar that is part of the car frame is what results in that little triangular window located at the A-pillar in a cab forward cabin design. This enhances visibility and gives the car a more sedan-like cleaner outer appearance. There is still a small “pillar” that makes up a triangle but it is very thin compared to the previous Stream. 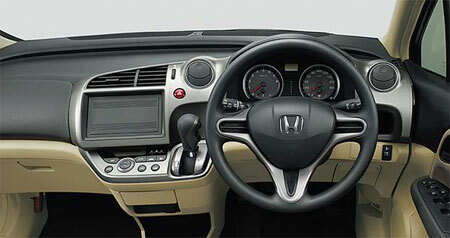 On the interior, you have a tilt and telescopic steering wheel, and an automatic climate control system. Both the second and third row seats can be folded down individually for a flexible seating configuration. The meter panel is of the self-illuminating type and features a multi-info display that can show valuable car data such as current fuel consumption. 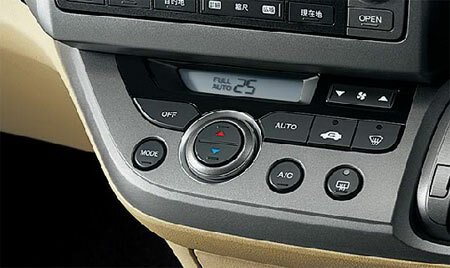 The audio system is a dual-DIN CD player that supports MP3 with USB and AUX input, connected to a 4-speaker system. It also has keyless entry, and a fully automatic sunroof. The new Honda Stream is also 10kg lighter than its predecessor thanks to the use of lightweight high-tensile steel in more areas of the body. The body also has Honda’s G-Force Control frame design, which absorbs crash energy more effectively through strategic crumple zones. Other safety features include ABS, EBD and dual front SRS airbags. Sadly, there are none of the more advanced safety features available like Vehicle Stability Assist (VSA), Traction Control System (TCS), and Collision Mitigation Brake System (CMBS). The new Honda Stream is available in four colours – Premium White Pearl, Alablaster Silver Metallic, Royal Blue Pearl and Nighthawk Black Pearl. 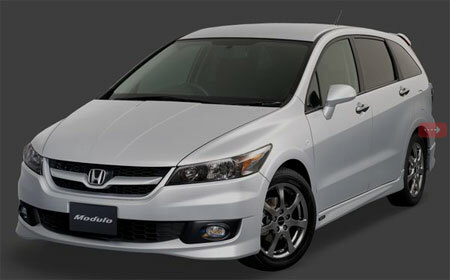 It costs RM149,800 OTR with insurance, comes with a 3 year warranty and 6 months free service. Look out for a test drive report soon. Next Post: Ferrari FXX Evoluzione – the ultimate track car?